Spring has arrived at Phoenix! My exciting, new Spring Supplement has just arrived and I would love to send you a free copy. 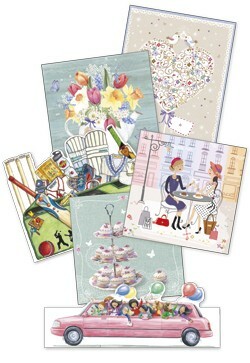 There are 52 gorgeous products, including two new Easter cards. There really is something to suit everyone. tell you more about being a Phoenix Trader - maybe you'd like to do what I do? I have attached an order form in case you feel immediately inspired! Email it back to me and I will contact you to arrange payment and delivery.